The first car I ever bought was a 1986 Mitsubishi Lancer SL with manual transmission. I got it in 1994. At that time, it was a popular car. It was boxy and it was cool. During that time, a brand new Lancer EL cost P300,000. The then-8-year-old box-type was selling for P150,000. I liked the car because it was reliable. Growing up in Marikina, I was braving through tough floods long before Ondoy happened. In many occasions, the inside of my car would be filled with water as high as my knees… and the box-type Lancer survived all of those. Plus, you can literally stand on its hood and not worry about denting it badly. It had no power steering. The ride was a bit rough. The interior is very spartan. Power steering may be a standard car feature today, but back then, it was a luxury reserved for the newer or higher end cars. My Lancer did not have power steering. 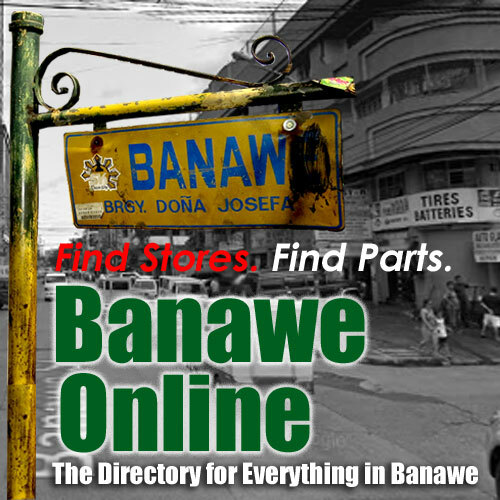 I tried to fix that by going to Banawe to buy a surplus power steering kit for the car. Luckily, I found one which was taken from a Japan version Lancer and had it installed. It worked for a while then it started to leak fluid. Never got it fixed ever. The ride was rough. The seats barely had cushioning and the underchassis/suspension were rigid. The ride felt similar to walking barefoot on the road… you can feel almost every small bump or pothole. Regarding the interior, the dashboard and console are boxy, stiff, and uninteresting, and you really can’t add much to those. It is so cramped that my left elbow always hit the side panel door whenever I steer. And unlike with newer cars, I couldn’t rest my left arm since there is no armrest at the left door panel. The car is so narrow that I can even adjust the right side mirror (near the front passenger seat) while still seated on the driver side. Now, is it worth rebuilding? The unit, if you can find one, can be had for P40k to P90k. Fixing up may set you back another P60,000 to P100,000 (including the paint job). You can also buy a fully restored one for around P120k to P180k. If you intend to make it a back-up car or display car, maybe it can work. But for an every day car or a car to give your son on his 18th birthday? Not for me. For a budget of 200k, I’d go for something a lot newer — like a car made from the year 2000 and beyond. Hope I remember most of these recalled facts correctly, but such a 1986 Lancer SL Box-Type (ie Mitsubishi A172A or A174A Body Type, I don’t remember well- am actually a Toyota Fan! ).The M/T like you had in the past would have a Mitsubishi 4G33B 1.4Litre Gasoline Engine (B73.0mm x 86.0mm bore & stroke, 1.493cc displacement) & 4Speed Manual Transmission. When new (or relatively so), I recall it gave around 8Km/L using A/C in City Driving, while almost steady Highway Cruising gave about 10Km/L but really not quite much over that . I don’t recall what constant cruise speed nor if it was with A/C or not, that gave this much mileage. My good friend had one in high school, and if I do recall properly the highway mileage was helped along by rather skinny 165/70 Series tires on 4.25in Steel Rims- particularly if the tire pressures were high at aprroximately 32/30psi F/R rather than recommended stock pressures w/c where about 26/26psi(?). At the moment, my good neighbor is actually contemplating a restoration of a newly-acquired 1986 Lancer GT Box-Type. I have only given it a cursory check so far, but straight off from just seeing it and looking at it while circling it I have already ‘guesstimated’ he’d have to dump another P200,00.00 into the car- and that’s over and above his acquisition cost for the vehicle(!). Of course, neither the 1982/83 Toyota Corona EX Saloon Model and the 1981/82 Toyota Corolla GL Models couldn’t match the straightline performance of the Lancer GT; the Toyotas respectively had a 1.6Litre 12R Gas Engine (for Corona EX) and 1.5Litre 5K Gas Engine for the Corolla GL- and these would have been a good 50/50 even odds toss-up against your 1986 Lancer SL despite the Mitsubishi having only the 4G33B 1.4L Saturn Engine. The Lancer SL simply had more modern crossflow hemi heads that were much more free-breathing than those OHV-engined Toyotas with their Aisin carburators- both Toyotas being more or less late 1960’s basic engine design configurations that were only modernized to lessen smog and emissions). As a final aside, one of the most unique and unusual locally-built rods & customs that I’ve seen around my general community was a Lancer Box-Type Custom Car that was converted into a chop-topped, two-door Lancer Box Type. It was literally modified into a two-door convertible- complete with rather thick 4point roll cage for rollover protection. It was not yet quite complete just yet, as the interior still needed detailing and all (particularly the instrumentation). Also, it was somewhat obviously a non-runner as I never never actially saw it up & running; but still, it was definitely a developing work-in-progress as it slowly but steadily improved in condition. Sadly, it just suddenly disappeared after ’bout a year and a half – after so much work (and perhaps expense) had already gone into…. Just the same, it probably still required around thirty to fifty thousand more pesos to complete in my humble estimation! Verdict: Honestly, it really will never make any practical nor economic sense whatsoever, for one to restore a twenty-five year old Lancer Box-Type these days and at this particular point in time… You must perhaps see it as a cult-classic japanese car restoration, perhaps as a symbol of your days of youth that now only exists in memory- perhaps memories of back in high school and first dates, as well as other such sentimentalities. In other words, such a veritable money-pit of a car restoration requires one’s passion to overpower one’s sense- particularly one’s economic sense & sensibilities… Ohhh, and please do never make the mistake of comparing it to a specific modern car that is still a current model- for that comparison shall surely be unfair to both cars in question! Well said. Have you considered writing car reviews as a side job? We could use your attention to detail and writing talent in this blog. what is better for the lancer 82 model? unleaded or premium? I just acquired a suturn engine form boxtype and mounted it on my owner jeep.